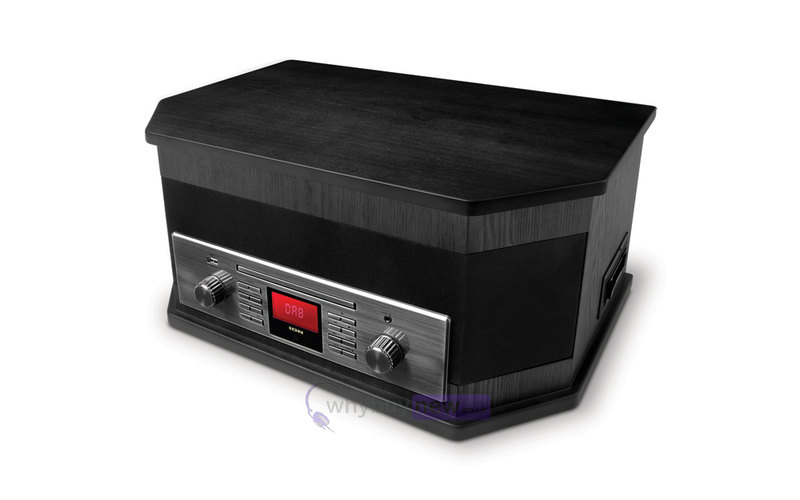 Introducing the ION Octave LP Music System; the ultimate all-in-one solution for people who love their CDs, cassettes, LPs and digital music players, this fantastic piece of audio equipment can play them all. 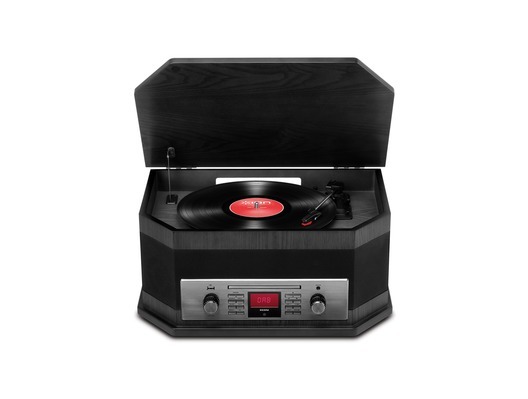 The ION Octave combines the retro LP player look with a sleek, modern front panel that houses all of the controls plus a small digital display that contrasts nicely with the smart, black colour of this attractive music box. Fans of the radio won't feel left out either as the ION Octave LP has an inbuilt FM radio as well as a DAB tuner for seamless streaming of your favourite stations. Play all your music, in any format, and record your tapes, CDs and LPs to a USB thumb drive. This is the only piece of equipment you need to play everything you have. Octave LP plays 7, 10 and 12 records on its three-speed belt-drive turntable, it has a cassette player, a CD player, a sensitive DAB+ tuner that plays digital radio with pristine audio quality, an FM radio with 10 presets and it plays any device you have connected to its Aux input. Its also equipped with Bluetooth so you can stream music wirelessly from any Bluetooth-enabled device. This is truly an all-in-one entertainment powerhouse. It has built-in stereo speakers and a powerful on-board amplifier so you don't need any other gear to enjoy your favourite tunes. 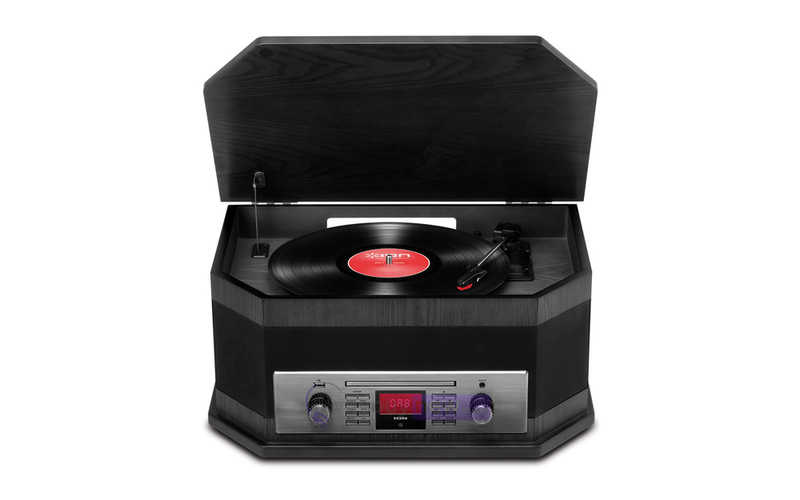 Plus, it has a USB input so you can simply insert your thumb drive and digitally record your cassettes, CDs or LPs onto the drive as you play them. Theres a headphone output for private listening, an informative 2-digit LCD display and RCA lineouts if you want to connect Octave LP to other equipment. 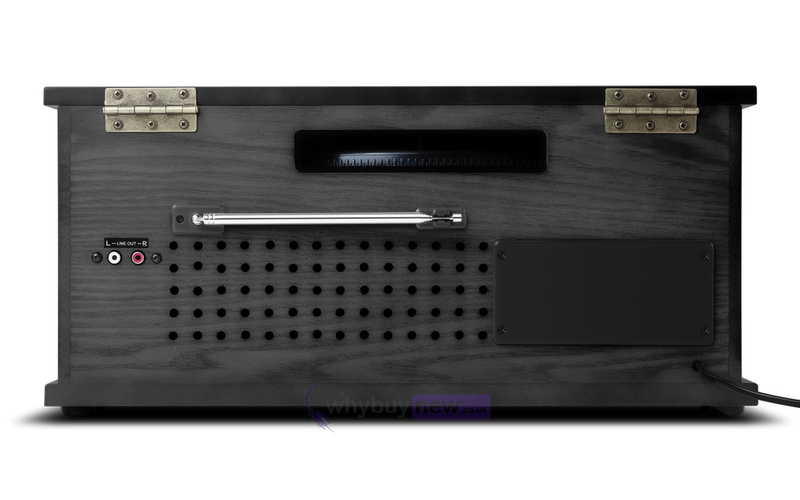 Here we have the ION Octave LP Music System Black in brand new condition and in B-Stock. The B-Stock versions would have been on display at a training evening or trade exhibition only and will come boxed in excellent cosmetic condition with all accessories and a 1-year warranty. Please note that the box may have some cosmetic damage.